● Bend-arm (C-axis) by hydraulic. Clamp dies by hydraulic, Pressure die by hydraulic. ● Carriage (Y-axis) by servo motor. Collets (B-axis): rotation by servo motor, grip by hydraulic. ● Anticipated mandrel retraction unit. ● Fan-cooling system (much better than water-cooling system). ● Foot pedal for safe start. 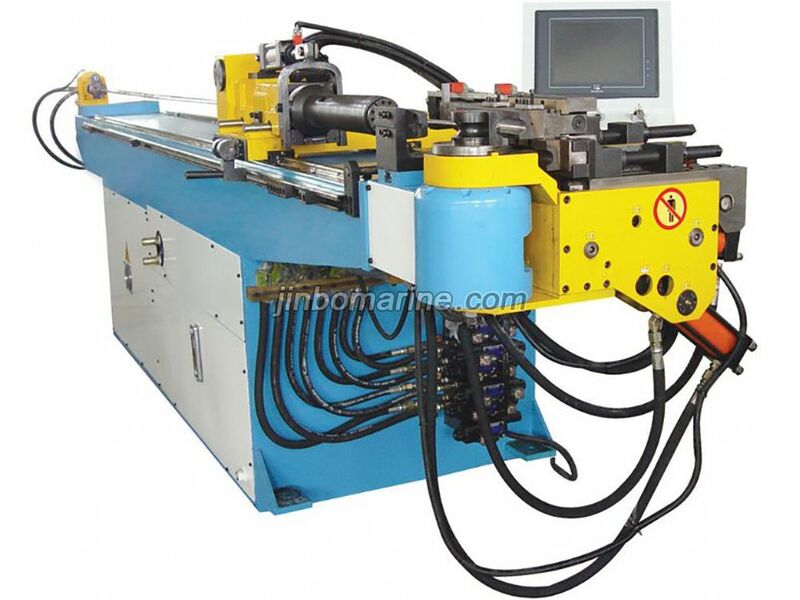 ● It is fully automatic tube bender, with PLC control system, two servo motor for rotary, feeding. ● Touch screen panel display English, have different bending degree prefabricate, dialogue operation, can choose manual, semi-automatic and full automatic operation manual, portable pedal switch with start and emergency stop function. ● Bending pipe — Automatic. Rotating pipe — Automatic. Feeding pipe — Automatic. ● Security code for the protection the data setting and selected operation features. ● To access to the history bending setting data to the facilitate study of malfunction with one set of tooling. ● All the parts of hydraulic system, control system, driver system and display system are imported from famous brand, with high accuracy, high efficient, suitable for mass production. ● The machine is convenient operation, stable performance and high safety factor. 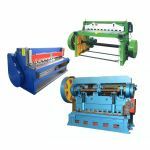 The machine is the ideal choice for the steel pipe processing.